Knovos believes that all successful businesses should give something back to the community and the world at large — to help bring about positive societal, environmental, and economic changes. Our Corporate Social Responsibility (CSR) efforts are focused on such issues as women’s empowerment, people with disabilities, and children’s education, among many others. 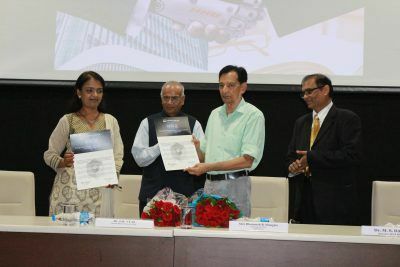 In a step towards further consolidating the relationship forged between GFSU and Knovos out of the Vibrant Gujarat Global Summit 2017, Knovos CEO Mr. Dharmesh Shingala and Chairman Mrs. Gita Shingala announced donation of Knovos’ cutting-edge eDiscovery solution – eZSuite to Gujarat Forensic Sciences University (GFSU). They also announced the launch of Knovos eDiscovery course at GFSU where students enrolled in this course will be able to freely access eZSuite and learn the nuances of eDiscovery. With donation of this eDiscovery solution, all the students at GFSU can get fully trained and achieve excellence in eDiscovery lifecycle and Information Governance related solutions. Continuing their endeavours to improve efficiency in governance, the Government of Uttarakhand has joined hands with Knovos and developed a CM Dashboard. The CM Dashboard provides a novel approach in bringing greater transparency in the overall functioning of the government machinery and bridging the gap between masses and administration. Through this dashboard, honorable CM will be able to monitor the progress of department level activities of different schemes, key programs and projects in the state launched by state government online.